Online Application Details for Indian Air Force IAF Recruitment of Education Instructor is given below. 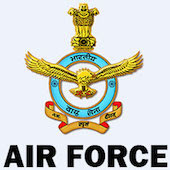 Candidate's minimum education qualification for the Vacancies in Indian Air Force IAF should be Graduate Degree in Arts / Commerce / Science with B.Ed., MA in English / M.Sc. in Mathematics or Physics or Computer Science / MCA with B.Ed. Recruitment Rally will be held at 4 Airmen Selection Centre (near Palta gate), Air Force Station Barrackpore, 24 Paragnas (North), West Bengal.